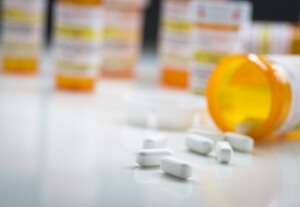 What is Ritalin Addiction Treatment? Ritalin is a prescription stimulant, made to help people with attention deficit hyperactivity disorder. It’s been linked to addiction episodes in people in the United States and around the world. Unfortunately, there are no medications approved for the treatment of Ritalin addiction. Tapering programs, followed by therapy and support group work, can help damaged brain cells to heal and addictive impulses to abate. Some illicit drugs are grown in clandestine fields hidden deep in the valleys of countries like Afghanistan and Pakistan. When these crops bear fruit, dealers can sell their powders, potions, and pills on the illicit drug market. Often, they can make a lot of money with each batch of drugs they make and sell. But illicit drugs aren’t the only substances people can abuse. In fact, illicit drugs might not even be the most popular targets for people with a drug habit. This prescription stimulant, made to help people with attention deficit hyperactivity disorder (ADHD) has been linked to addiction episodes in people both in the United States and elsewhere across the globe. Getting better means getting help, and thankfully, there are a number of programs that are made specifically to assist people with their Ritalin addiction challenges. The number of prescription stimulants like Ritalin handed out by doctors has increased dramatically. In testimony before the U.S. Senate Judiciary Committee on Crime and Drugs, the director of the National Institute on Drug Abuse said the number of prescriptions rose from 5 million in 1991 to 35 million in 2007. Doctors, it seems, are using this medication more and more each year. They use that medication to assist with very real mental illnesses. People with ADHD have brain wiring difficulties that make calm and reasoned communication difficult or impossible. For people like this, it’s hard to hold down a job, conduct a reasonable conversation, or pay attention to a task. Their brain cells are inundated with unneeded signals that these people just can’t ignore. Ritalin is a stimulant, so in theory, it should make a hyperactivity problem worse. But research suggests that people with ADHD feel calmer and more collected when they’re taking Ritalin. To them, the drug seems to allow for a tighter focus, and that can help these people to eliminate distractions and focus on what’s really important. Typically, Ritalin isn’t prescribed in a vacuum. As a report from the National Institute for Clinical Excellence points out, children taking Ritalin should also be provided with ongoing monitoring and comprehensive therapy. They should be given the opportunity to learn how to use their brain power to control their impulses. While Ritalin can help with that, it’s not a standalone treatment. It’s just a part of care. As people become more adept at controlling ADHD, they may be given smaller and smaller doses of Ritalin. In time, they may not need it at all. While people who use Ritalin for ADHD may feel only calm and focus due to the action of the drug, people who abuse the drug without a history of ADHD may have a completely different reaction to the drug and its power. To people like this, Ritalin works as a traditional stimulant. Each dose makes people feel energetic, awake, and alive. They may be able to handle tedious tasks with ease, due to the added energy Ritalin can bring. Additionally, Ritalin can impact the pleasure pathway in the brains of people like this, so in addition to feeling energetic, people might feel blissful and euphoric. The brain remembers these signals of bliss, and in time, the brain begins to call out for repeat performances of pleasure. There’s a chemical reason for these urges, as altered brain cells may be unable to respond to signals of pleasure found in the environment. In time, only Ritalin will make people feel good. They’ll use it, over and over again. Even one dose, if that dose is too large, could cause a massive hit to the heart that could result in death. Ritalin is just that powerful, and it’s continued abuse can push addicted people yet closer to the edge. People with longstanding Ritalin addictions have brain cells that work best when there’s a hit of Ritalin available. Unfortunately, there are no medications that can undo that damage and force the brain to work as it should. But, according to the National Institute on Drug Abuse, tapering programs can be a great help to people with Ritalin abuse histories. In a tapering program, teams determine how much Ritalin the person is accustomed to taking each day, and they drop that amount down just a little bit over an extended period of time. For some, that taper process is complete in a matter of days. For others, it takes weeks. The speed of the taper is solely determined by the way the addicted person feels as the process moves forward. Psychotherapy can also be of great help to people with a history of stimulant abuse, according to the Harvard Medical School. These techniques are used to help people “unlearn” the habits they’ve developed during the course of the addiction, so they can handle life’s challenges without dipping back into the use and abuse of drugs. Cognitive behavioral therapy, for example, helps people to understand the thoughts and feelings that spark a craving for Ritalin. Instead of feeling overpowered by cravings that seem to come from nowhere, people with addictions can learn about the early warning signs that will drive them to use later. Is it depression? Stress? Self-loathing? They’ll learn to spot their individual warning signs, and they’ll develop skills they can use in order to do a course correction before they dive back into Ritalin abuse. A person with a Ritalin addiction may walk into therapy for the very first time with the belief that the drug use is spontaneous. In therapy, that person might discover that social cues play a role. This person might feel nervous and jittery in parties or business meetings. The person can’t focus or perform, and before the event, the person’s mind might be filled with thoughts of doubt and blame. Rather than leaning on Ritalin to drown those thoughts out, a therapy team might help this person learn to visualize the party going well. The person might think about charming other people, and the person might relax and smile at the thought. That smile might draw people in, and the party might actually go well, with no drugs involved. This may be a bit of a simplistic example, but it demonstrates just how well therapy might assist someone with a Ritalin addiction. When the person can think clearly and perform properly, all sorts of doors may open up. In an overview article in Wilder Research, authors suggest that stimulant addiction therapy programs should last for at least 90 days, but that treatment times of 3-6 months might be ideal. That length of treatment is dependent on a number of factors, including the amount of social support the person has at home, the presence or absence of underlying mental health conditions, and the length of the Ritalin abuse issue. 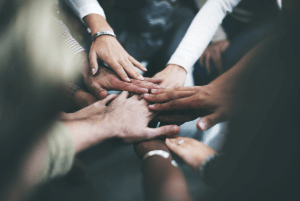 By examining all the factors closely and really thinking about what’s best for long-term healing, teams can come up with programs that can make a great deal of difference. When formal treatment programs are complete, people with Ritalin addictions should have a comprehensive toolkit full of valuable insights that could help them to keep an addiction at bay. Relapse prevention coaching should be part of the discharge process. This is a long task list, and sometimes, people just don’t have the time to pick up all of these skills in a standard rehab program. They often need help that extends into the weeks and months that follow formal treatment. Comprehensive addiction treatment programs provide ongoing support in the form of support groups, touchup counseling, and alumni support. These elements help people with addictions to stay involved with the sobriety community, and they might prompt people to continue to work to protect their sobriety, so they won’t slip back into destructive habits.